Shenzhen Starwire Lighting Co., Ltd is a professional manufactory in the line of LED lighting products, LED energy saving light-fixtures. The sales of LED application products are all for green energy saving products. 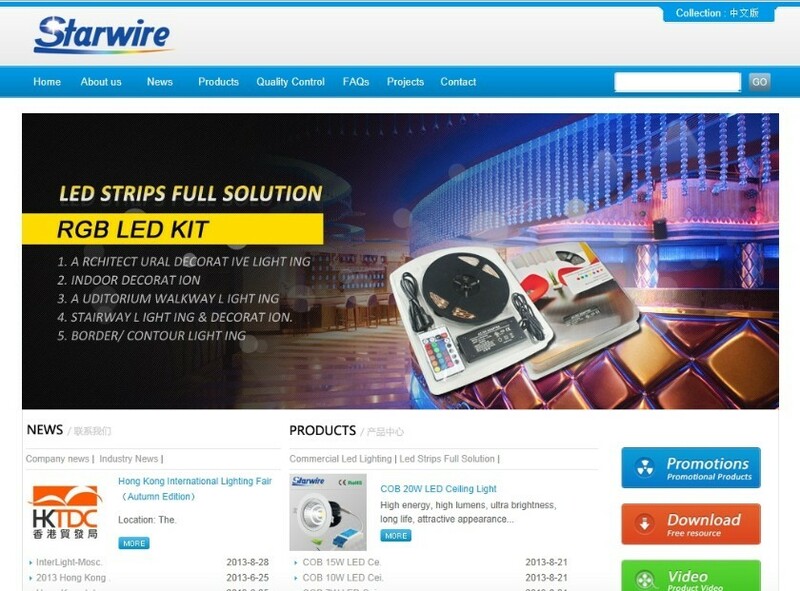 After many years of development, the sale of products including LED Strip Kits, LED fluorescent tubes, LED power supply, LED controllers, LED modules and so on. Our products are mainly used in the following areas, urban lighting, indoor and outdoor decoration, advertising engineering, industrial and commercial lighting, home lighting, stage lighting engineering, hotel and entertainment lighting and decoration. Our company provide diversified trade service with professional level and high quality to customers, with the enterprise spirit of “ integrity, pragmatic and efficient “ and the purpose of “ customer fisrt “ to develop new markets and serve for customers. We created prominent operation performance, enjoyed good business reputation.